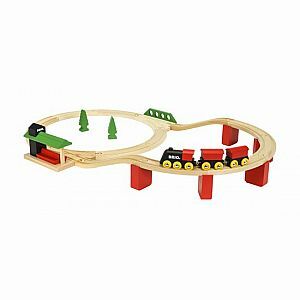 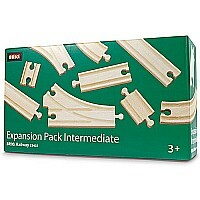 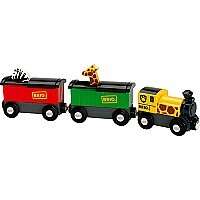 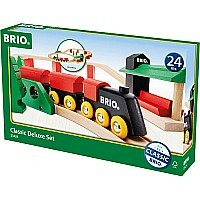 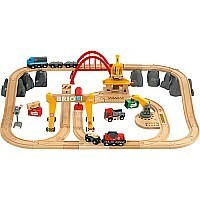 Classic wooden railway train set with modern destination decor. 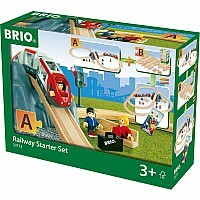 Featuring engine and two magnetic wagons, tracks, ascending tracks, pillars, railway station and trees. 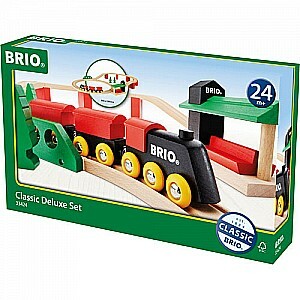 Lots of fun for the youngest drivers!